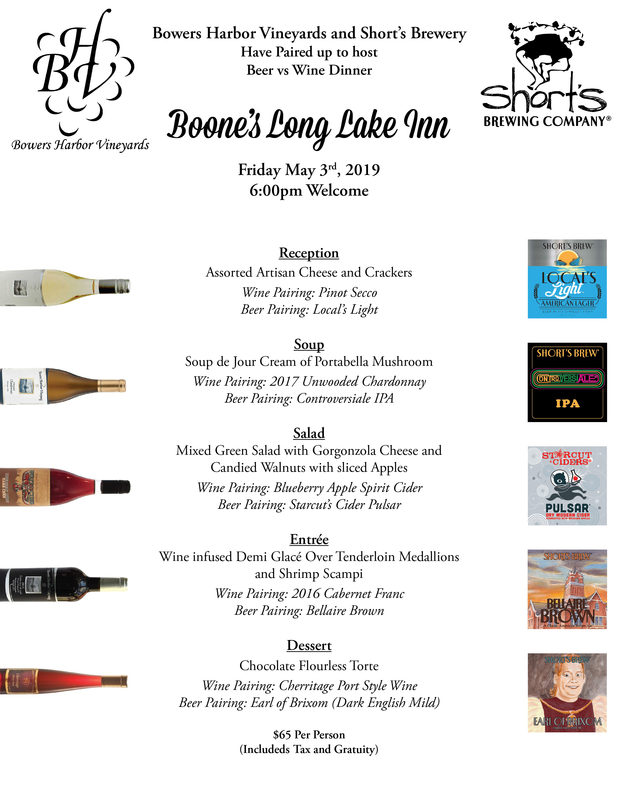 On Friday evening, May 3rd, Boone's Long Lake Inn is hosting Short's Brewing Company and Bowers Harbor Vineyards for an entertaining competition. 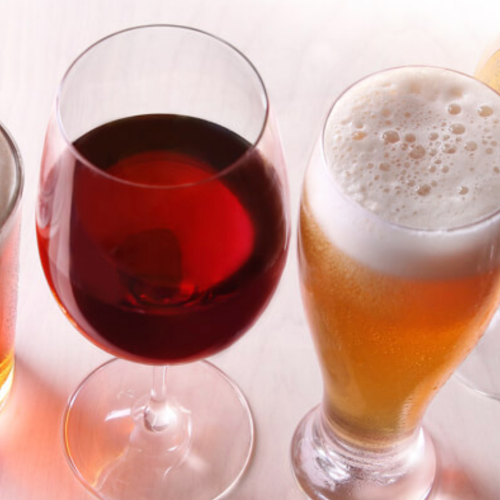 Short's and Bower's have selected five beers and five wines to accompany each of the five courses prepared by the staff at Boone's. Although this friendly competition will be pitting Beer V Wine, with this menu and pairings, everyone will be a winner!